How to Hide Apps on iOS 10/10.1/10.2/10.3 - iMobie Inc.
Are there any apps on your iPhone/iPad/iPod that you don't want others to see? Here in this post, we summarized a few possible ways for you to hide apps on iOS 10. Get this powerful iOS data transfer tool to transfer all your iOS data to a new iOS device with great ease after figuring out how to hide apps on iOS 10/10.1/10.2/10.3. We all have secrets on our iDevices, don't we? For instance, private conversations on social apps, personal pictures on some picture-edit software. How to hide those secrets from others? Since it is not easy to just hide specific things on your app, you can choose to hide the whole app. Here in this post, we summarized a few possible ways for you to hide apps on iOS 10 and higher. Step 1. Have a full page of apps, if not, please remove apps from other pages. Step 2. Drag the app you want to hide to the page full of apps. Step 3. Drop it on the top of one of the apps to create a folder, but don't release it, then take it out of the folder. Step 4. Drop it on the dock at the bottom of the screen. After all has been done, the app is no longer to be seen. Please be aware that after rebooting, the apps you have hidden though this way would come back to screen. Step 1. Go to Settings > General > Restrictions. If you don't have Restrictions option on your iDevice, you can set Restrictions up with a password. To enter Restrictions, inputting password is needed. Step 2. Under Restrictions, all apps are shown, switch the tab next to the app you want to hide to your left, then the app is hidden. Everybody likes shining brand new iPhones. 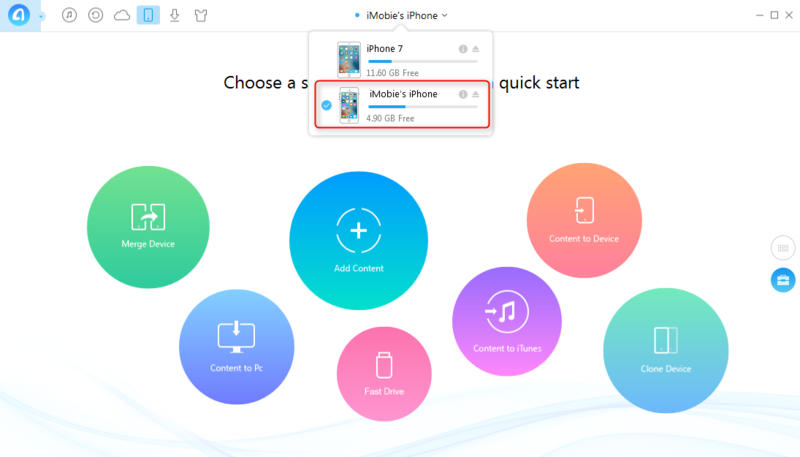 After making a purchase of an iPhone, you might need to move data from old iPhone to new iPhone, but the question is how. Many people would turn to iTunes or iCloud, backup data first and then transfer data to the new iPhone. It indeed works, however both iTunes and iCloud can't backup all your data. Is there a direct way to transfer all data from old iPhone to new iPhone? Transferring all data from old iPhone to a new iPhone can be accomplished with AnyTrans. 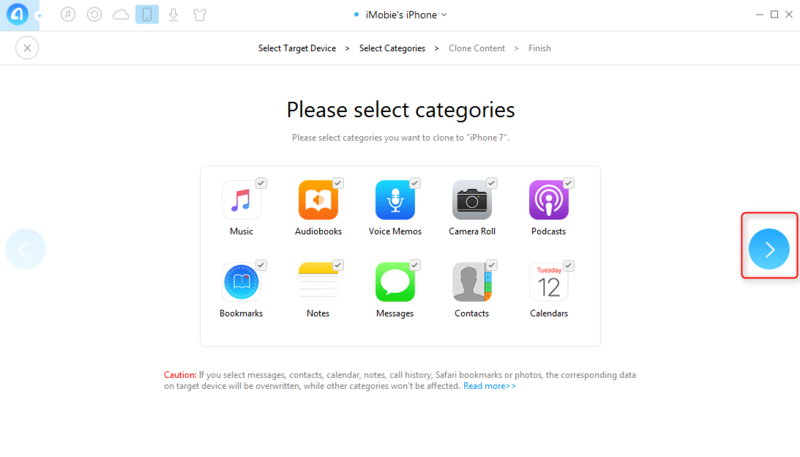 It helps you transferring 20+ kinds of iOS data between iOS devices like pictures, music, notes without erasing any data on target device. Besides, it allows you to transfer data from computer to iPhone/iPad/iPod. What's more, it also allows you to transfer iOS data from iPhone/iPad/iPod to computer or external hard drive. 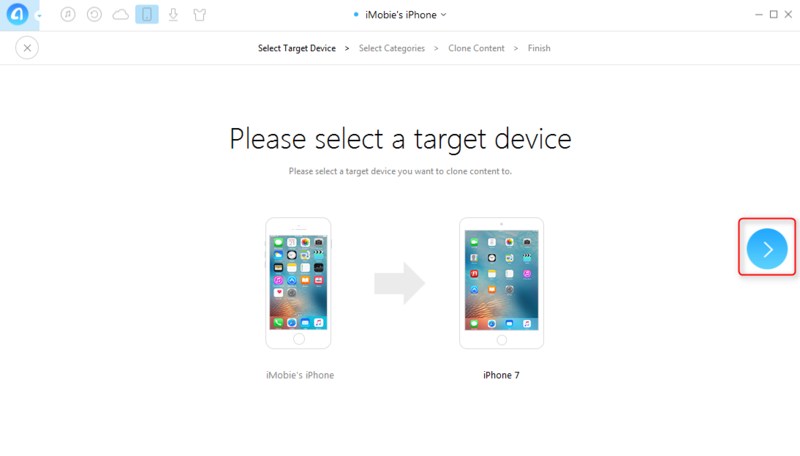 Now, let's take a look on how to transfer data from old iPhone to new iPhone with AnyTrans. Step 1. Free download AnyTrans and launch it on your computer, connect your iDevice to your computer and click the Video Download button. Step 2. Scroll down or click on the tab to your right, select Clone Device. Step 3. Click ">" symbol to continue. Step 4. Select items you want to transfer, then click on ">" symbol again. 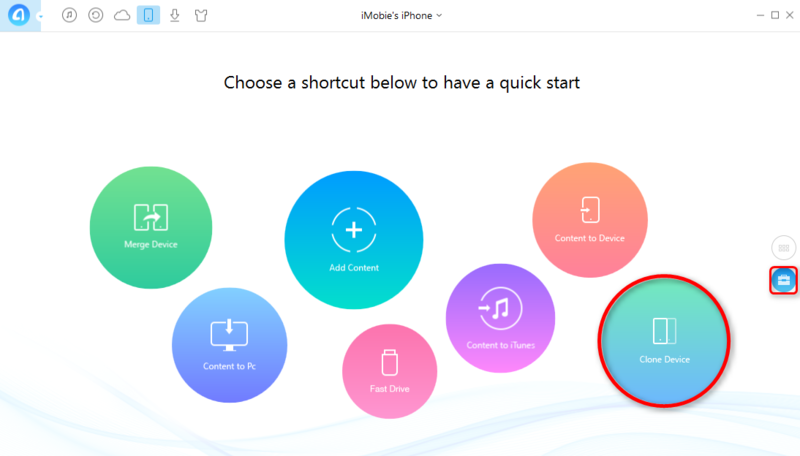 All items you want from your old iPhone are being transferred to your new iPhone. That's all for how to hide apps on iOS 10. Hope those are helpful. If you have any problems about this article, please don't hesitate to contact us via email. By the way, don't forget to give AnyTrans a try!